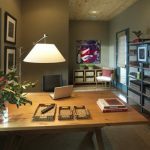 You may not pay much attention to the arrangement of furniture in your home office however, according to the principles of Feng Shui, your office interior décor has a great impact on your cognitive well-being as well as your success. 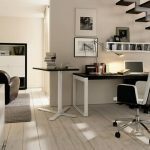 Below are some pointers that will help you create a more harmonious home workspace. It is important to have a window in your office and your desk should be placed near the window in order to create a feeling of openness. It is not advisable to place desks near walls. The desk should also be positioned facing the door so that you can see anyone coming in. Some people may consider clutter as a sign of productivity but it simply looks messy and definitely goes against the basic tenets of Feng Shui. A clutter-free office creates a more pleasant working area that fosters creativity. 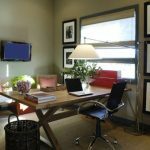 In Feng Shui, it is said that clean air equals a clear mind therefore, your home office should have good air circulation. You could also include an air purifier of a house plant to freshen the air. 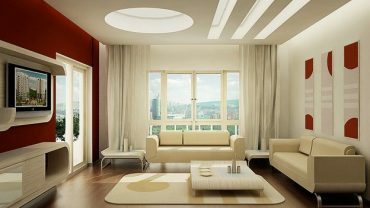 Light is a very important element in Feng Shui inspired décor. In case your office does not have sufficient natural lighting you may need to invest in a full spectrum source of light.